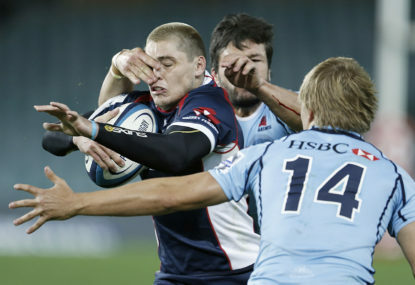 Many of us have applauded Michael Hooper’s play at 7 for the Waratahs and Wallabies during the last two years. 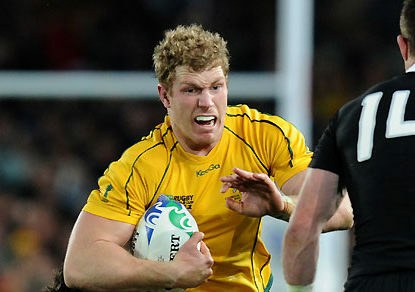 He rarely has a bad game and his style of play certainly fits the bill required by Michael Cheika and Ewen McKenzie. Where to now for James O'Connor? At the beginning of June, Robbie Deans anointed James O’Connor as his Test 10 and all must have seemed right with the world for the man we call JOC. Fast forward six weeks and the garden is no longer rosy. I note Carey has the inside running to be back up but I would go with no one and use Handscombe …… from what I have seen he has done ok, especially standing up to the stumps. I would pick Nonu before SBW. Sonny is now injury prone and you might have him for one match but lose him for the next 2. Nonu will play every game if you let him. Fionn I agree with your concerns about Maddock’s defence however he does have speed, evasiveness and a nose for the try line. I like Naivalu but wonder about his hands and lack of kicking ability. Bottom line is that I would be happy with either but would have concerns about both. I take your point very clearly but one crucial difference between Victor Matfield and Nonu and AAC ….. Victor Matfield had already retired, stopped playing before being brought back for that last hurrah whereas both Nonu and AAC are still playing with no break. I think Nonu could add hugely to the All Blacks even if he is 3rd in line to start whereas I think the best AAC can hope for is if all the other possible 13s fall over with injury. In no way do I believe that AAC would let the Wallabies down. He would give his all and be a steady rock like presence in the backline but I also think he maybe a yard off the pace. Harry Johnson-Holmes should have got a mention for LHP ….. he has been playing consistently well every game. Hits hard in defence, carries strongly, cleans out well, can steal a turnover and his scrumming is improving week by week. Still not sure of LSL running style, too upright allowing for dislodging the ball or being held up. Milford at fuulback? Lol, how is he under the high ball? I imagine a lot of opposition kickers will smile about testing him out. Nice team/squad Thugby but a couple of points ……. Slipper is a LHP and Kepu is a THP. Same same Tupou is a THP. In my opinion the LHPs in contention are Sio, Slipper and Johnson-Holmes, while the THPs in contention are AAA, Tupou and Kepu. Harry Johnson-Holmes has to come into reckoning as Loose Head Prop ….. he is playing the house down against all comers. However I reckon the selectors will go with Sio and Slipper as our LHPs and AAA and Tupou as our THPs. Kepu is getting a bit old. Hodge will not be looked at as a 13 when he does not play there for his franchise ….. English is a far better option. The Tahs hung in there but that 17 point opening 20 minutes from the Blues was just too much to peg back. Did anyone else notice that twice the Tahs coughed up errors and the Blues subsequently scored, when the Tahs tried the deep, pass out the back, block plays? I reckon they need to ditch the play because in recent weeks it has led to errors and tries being scored against them. Maybe Nick Bishop can pick it apart for us? My opinion JOC will not get a look in so my starting backline would be Genia, Cooper, Folau, Kerevi, English, Maddocks, Banks. I quite savour the thought of Kerevi, Folau, Maddocks and Banks running into gaps off a Cooper pass ….. plenty of pace there and all back three with high ball and kicking ability. The Tahs need the Blue Wall to be on song, if it isn’t then they are toast. Sorry Waxhead but we will have to agree to disagree. Professional rugby players at the international level should be able to catch, pass and run ….. it is the backs/attack coaches job to get them running and passing along the correct lines ….. that is the basic skill. Why could the Wallabies not do that? What was Larkham doing? Was he standing in a corner sulking for 3 years because Cheika didn’t agree with him? I have said nothing about defence because that was not Larkham’s job. Just one point about Stephan Larkham ….. he may not have been given much chance for input into game plans or selections but he was the backs coach/attack coach and for 3 years the Wallabies backs ran terrible lines, all crabbed sideways and they all stood so deep that we often ended up 10m behind the gain line. Larkham may not have liked the game plans but I cannot forgive him for not instilling, or insisting on, basic attacking skills. I agree with Drew Mitchell who asked on Fox Sports telecast why you cannot rest a player by giving him most of the week off training ….. 3 x training sessions at a minimum 2 hours each against 1 x 80 minute game. I reckon that is a better “resting” policy. Hunt at 13 was way too slow in defence and hardly sighted in attack. He did not have a good game at all. In my opinion this weeks games did no favours to the RWC hopes of some …. Hunt, Phipps, Kepu, Higginbotham, Tupou ….. while it also probably boosted a few ….. Jones, Rangi, Newsome, English. Those names are not all, just a selection. I am wondering if a couple of Aussie franchises have been searching out Parkes’ mobile number considering the assumed/expected exodus post RWC …. the Tahs for one. Geoff I agree that Maddocks had a reasonable game in attack and I would be happy to see him wearing 11 for the Wallabies, however I do have issues with his defence. He made one good front on tackle (he would have been trampled if he didn’t hang on) but he also glaringly missed a couple and made some bad reads/decisions. Hopefully the Rebels coaching group sort that out. Waxhead try Foxsports Lab …. go have a look you might have to apologize to Hanigan and Simmons.